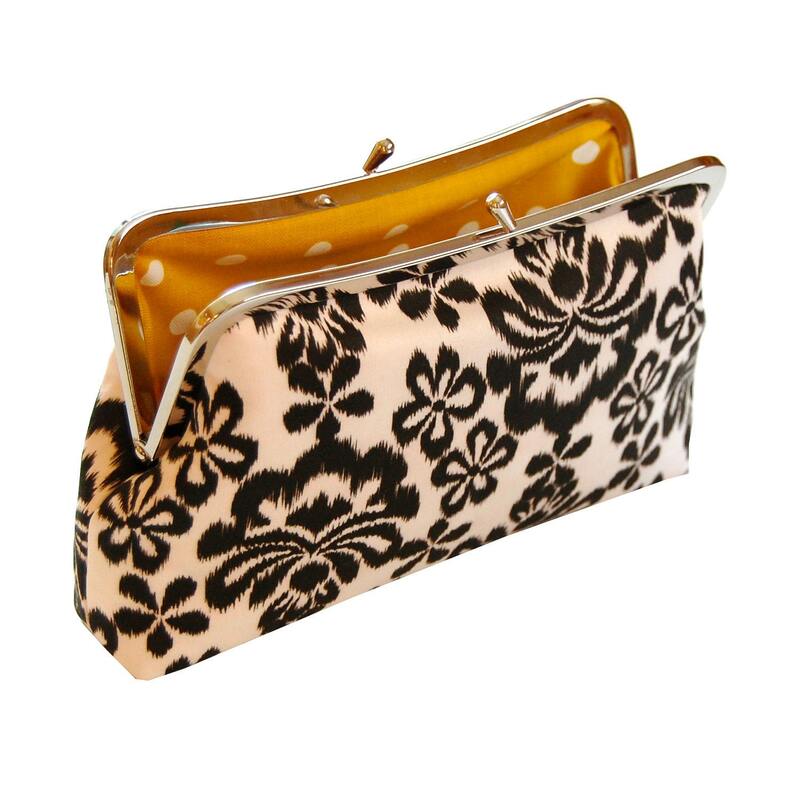 This brown boho clutch purse is simple yet stunning. This vibrant African print bag, with its rich color and mesmerizing design, is an ikat purse that is sure to turn heads. 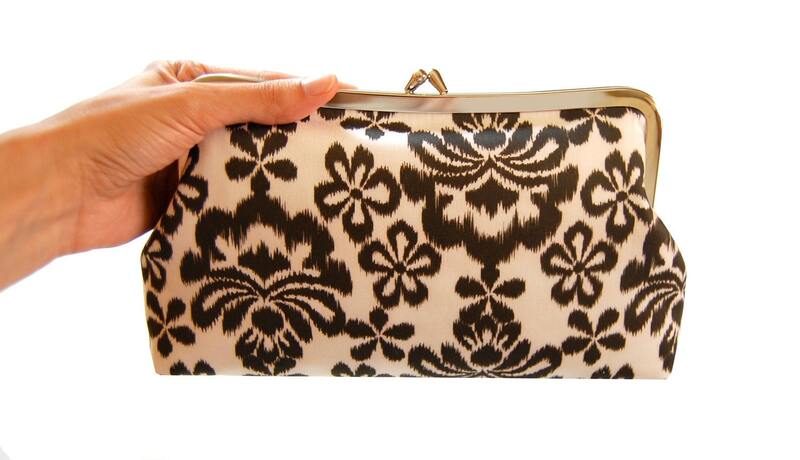 -The ikat clutch has a brown print on a white background. -I made the inside of the small brown handbag in a coordinating deep yellow polka dot print - I love the pretty color combination, and the yellow is a fun surprise when you look inside! 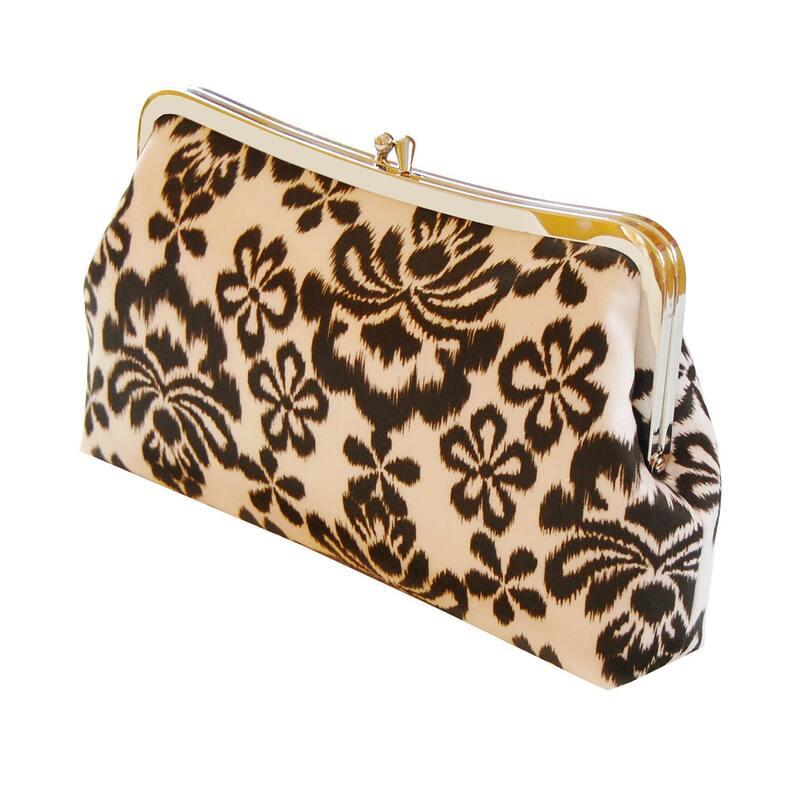 -This ikat brown handbag is the perfect size to carry all your essentials - phone, makeup, credit cards, and keys. 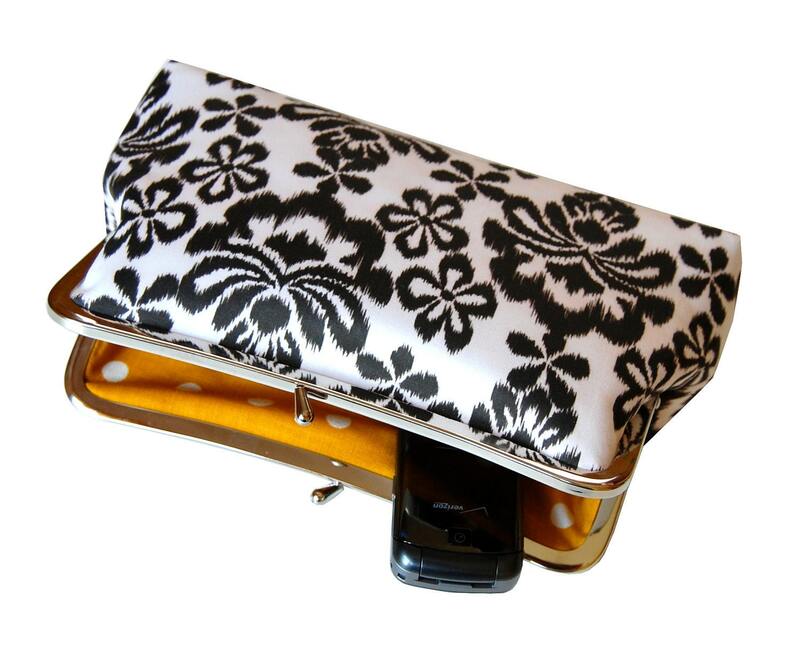 It fits easily in your hand so you can be stylish and comfortable all night! 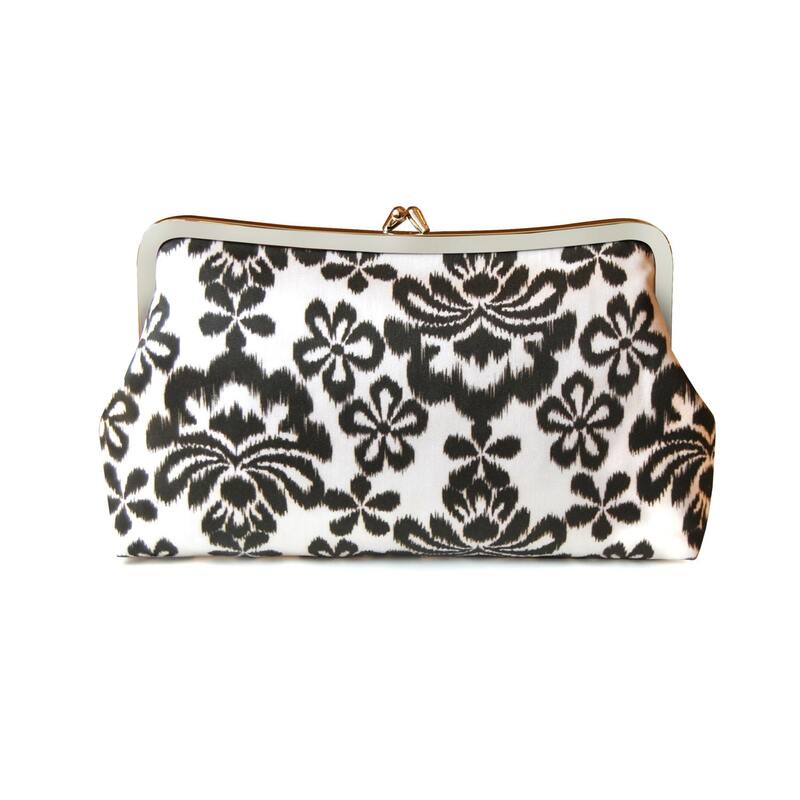 It makes the perfect evening clutch, as well as a great everyday bag!